ARCHITECTURAL HOME DESIGNS, STRUCTURAL DRAWINGS, STRUCTURAL CALCULATIONS AND CONSTRUCTION. The building procedures in Trinidad as well as in Tobago are basically the same, and together with a team of independent Surveyors, an Architect and Builders I have set up this page which will guide you step by step through the entire process, from the very start to the end. I hope you have some time, because this is a very long page with a lot of information. The first step to take, is to secure a parcel of land that suits your needs. In case of a subdivision is important to make sure the land in question has Final Approvals from all the relevant Authorities. Once the land and subdivision approvals are in place, we advise to get in touch with the above mentioned Professionals to whom you explain exactly what you would like to build, as well as your budget in case you already know how much you can spend. Initially the Architect or Draftsman will find out from the relevant authorities if in fact approvals will be granted for the construction of the building you have in mind. If that is in order and you did not already do so; it is advised to find out from a Mortgage Company or Credit Union how much money you qualify for, because it does not make any sense to start the designing if you do not know how much you can spend on the building, because you might end up with a very nice building on blueprints but no money to build it. Once you also know your budget, the designing phase starts and will be done according the budget. When in collaboration with the Architect the final design is achieved, the original plans are drawn. From these originals, 11"x17" Prints are made (Blueprints are no longer required), which are submitted to the Town & Country planning division with the necessary applications. It is of course important for an Architect and/or Builder (and in some cases a Land Surveyor), to view the proposed building site, before being able to come to an agreement on design and price. This is also essential to make sure if the building you have in mind is feasible and affordable, and also to determine if approvals from the relevant Authorities will be granted. Anywhere in South Trinidad (San Fernando and down): TT$300. or US$50. (per required Professional). Anywhere North from San Fernando to Port-of-Spain / Arima: TT$400. or US$65. (per required Professional). Anywhere in East Trinidad from Toco down to Guayaguayare: TT$600. or US$100. (per required Professional). Anywhere in Tobago TT$1,000. or US$165. (per required person). I always advise to meet with the Architect on the proposed building site first, so he can determine if what you have in mind will be possible, or allowed. It is preferred that you bring sketches, pictures or magazines of properties you like, just to give us an idea of what you want to build. For example; you can like the outside of one design and the inside of another, and if the design permits it, both ideas can be combined to form your dream home. The Architect or Draftsman has usually also books available from which ideas can be taken. If requested, the Architect can also show you some of his previous works. In most cases he can give you after the meeting a rough idea what the cost for the building plans will be. Once agreed on a price, the Architect will start on the sketches which will take about 2 - 3 weeks. The agreed price will include the initial sketch and 2 changes. However, some customers require more sketches than others and the cost of each additional sketch depends on the complexity of your design or change, but on an average it will come up to TT$250. or US$45. per sketch. In this stage you can change whatever you wish until you decide on a final design, after which a final quote on the final cost of the building plans will given. The cost of the Building Plans depends of course on the design and company you choose, but it can start from as low as TT$6,000. or US$1,000. in Trinidad and TT$8,000. or US$1,330. in Tobago, for a simple and basic 3 bedroom "flat" home (meaning a square or rectangular home on ground level). Please note that these cost examples are not applicable for structural designs which have to be done by an Engineer, those prices depend on the type of structure to be designed. Any additional or detail drawing(s),if any, required by Town & Country planning division, or Regional Corporation. Note: As you may have noticed, Submissions of the building plans to Town & Country and the relevant Regional Corporations are a separate service, and the cost depends on which district the relevant Regional Corporation is going to handle the plans. The submission process is usually lengthy and requires regular visits to the offices of T&C and the Regional Corporation. Once a price Agreement between the Architect and the Client is reached, both parties enter into a Contract. The designing; At this stage the Architect starts to make sketches which can be changed up to 3 times at no additional cost as long as the type and style of building does not drastically change from what was initially agreed. At this point a final design is reached and the Architect will start the drawing of the official building plans. The submission to Town & Country and the Regional Corporation and follow up until plans are approved. The first payment, is ? of the agreed price, and represents the Designing phase. This payment has to be made in advance. The second payment has to be made before the Architect starts the official building plans. The final payment will be the last third of the agreed price PLUS the total of the additional sketches and additional Design costs (if any). This payment has to be made before the plans are submitted. Please note: the last payment is NOT made, after the building plans are approved, but BEFORE the submission to Town & Country. This for the simple reason that the drawings were completed at the time of submission, and as mentioned above, submission to Town & Country is a separate service. It is also important to mention that the agreed price is for the building plans and site visits only (preliminary site visit(s) not included). 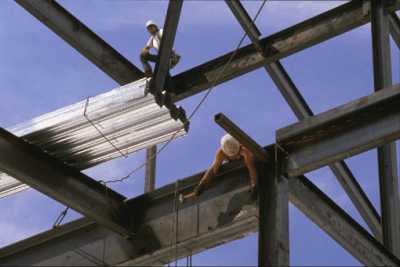 If any additional service is required such as Construction Supervision by the Architect, a separate charge will apply. In general it takes less than 4 Months for the plans to pass, but sometimes Town & Country requests changes or additional detail drawings, after which the plans have to be resubmitted. In this case it might take up to 6 Months. Once a plan is submitted, it is out of the Architect's hands and there is little or nothing he can do to speed it up. It is simply a matter of waiting until it passed all the different Departments. If a plan is not approved for some reason, the building inspector will make a note of what in his opinion needs to be changed or added. The Architect then will make the necessary adjustments after which the plans can be re-submitted. There should be no extra charge for this (unless changes to the plans are made by request of the client), because it is part of the Architects job to deliver approved building plans. After the plan is resubmitted it will generally only take 3 to 4 weeks for the plans to be approved. Once a plan is approved, no more changes can be made to the drawings and the actual building, because during the construction regular inspections by Town & Country officials will take place. If you want to make changes during construction, a plan amendment can be made at that time. It is however allowed to make small changes, such as changing the size of a window, but nothing that will affect the structural integrity of the building. It might be interesting to inform you that besides Architectural Home Designs we also provide Structural Designs & Structural Calculation services. For the next stage of building your home, or when you are in the process of developing a parcel of land, we advise to get a Licensed Land Surveyor. To layout a foundation of a house or building from a legally defined boundary in accordance with Town and Country Planning Setback distances as well as ensure that the foundation is set out on the correct parcel of land. Imagine the litigation or hefty payment to an aggrieved landowner that may occur by not following these guidelines. When erecting a fence or wall. It is highly recommended a boundary redefinition survey is undertaken to avoid unnecessary litigation or payout that can occur by encroachment on another individual or corporations right to land. For prospective purchasers: Verbal descriptions of land in deeds are no guarantee of an accurate physical description of land. After having a legal survey done, the licensed surveyor produces a registered survey plan, a copy of which is lodged at the Office of the Director of Surveys and can clear up any ambiguities regarding area, encumbrances and a correct and up to date physical location of the property relative to neighbours and physical features which can be used to update or rectify the old deed description. Also for prospective purchasers: Even though a survey plan exists, because of its age it may not accurately describe any encumbrances or occupation that may currently exist viz. encroachment of walls, drains, roads, structures or even squatters!. For landowners of tenanted land: If the tenant intends to purchase land, a land survey will be able to quantify an area occupied by the tenant, aiding the valuator in determining the sale price as well as helping prevent future discrepancies or disagreements with neighbouring tenants. For landowners willing to transfer rights to family members subdivision of land may be also be undertaken in order to accurately transfer individual legal rights to aid in raising collateral for banks and mortgage lending agencies. For land developers, house builders: It is recommended that a topographical survey showing spot heights and contour lines relative to boundary lines be undertaken to aid architects and engineers in designing the layout of structures as well as in the design of the layout of roads, drains, sewers etc. A Topographical survey can also aid in Earthworks design and calculation for land developers and Land development engineers. Also for land developers: A surveyor can legally subdivide land in order to aid in transfer of individual title to prospective purchasers. Please Note that it is highly recommended that approvals be sought from Authorities such as The Town & Country Planning Division, Regional Corporations and Local Health authorities, WASA, T&TEC and Fire Services to aid purchasers in obtaining collateral from lending agencies as well as Certificates of Completion. After the layout design is completed by the land development engineer, it is essential that a surveyor lays out roads, drains, sewer treatment plants etc to accurately reflect on the ground the layout design. Environmental Impact assessments: Land Surveyors can provide Mapping Solutions for Environmental Consultancies applying on behalf of their clients for Certificates of Environmental Clearance from the Environmental Management Authority. Surveyors can provide Layout and as built surveys for Building and Civil engineering structures with low tolerances of error. This is especially important where components such as glass panels, pre-cast concrete, metal is fabricated off site. Before choosing a builder I always advise to check out several builders and to ask them to see some homes they already have built, and if possible to speak with the owners of those homes, this will give you a good idea of the quality and reliability of the builder. When you made your choice on a builder, he (or a Quantity Surveyor) has to do a Quantity Survey and/or Estimate. A Quantity Survey is a report that shows exactly the type-, and quantity of materials that will be needed to build your home, from the smallest nail to the largest beam, as well as the current cost of all the materials. A Quantity Survey should also show a column with the unit prices plus a second column with the total price of each item and at the bottom the total cost of all items. Click here for a simple sample of an old Quantity Survey for a small renovation. From the building plans the builder can also determine how many skilled and unskilled labourers he will need. With this info he can work out the Labour cost which will be in a separate column on the Q.S. This definitely is a must for the customers who have applied for a loan or mortgage, because a Q.S. is required by the Mortgagee(s). To prepare a Quantity Survey/Estimate is costly, and time consuming as no mistakes can be made. Therefore it is considered as a job by itself and charged accordingly. The prices for a Quantity Survey/Estimate vary from Company to Company, and are sometimes even "free" in which case you have to assure yourself that it is a real Q.S. and not an Estimate, because Q.S. are usually not free. If you already have some floor plans and sketches with all the measurements, it is possible they can give you a very rough idea of what the construction cost will be, but you have to realize that, depending the time span between the rough estimate and the actual Quantity Survey, as well as the choice of materials, the price between the Estimate and Q.S. can vary quite a bit. Besides that, it is also common that many customers start basic and simple, which results in an affordable rough estimate. Then the changing and adding starts, which could end up with a final Quantity Survey of 1-1/2 or even 2 x higher than the preliminary rough estimate. Therefore, it is important to note that every change or addition usually costs you thousands of dollars more ... rarely less. If you have to get a Q.S. for a Mortgage or Loan, please check your Finance Company if they will accept a Q.S. done by our Company. Some Mortgagees have their own Quantity Surveyors. In case they insist you use one of their Quantity Surveyors, the prices underneath do not apply, most likely it will cost you more. • under TT$250,000. TT$1,500. TT$750. • Between TT$250,000. and TT$500,000. TT$2,000. TT$1,000. • Between TT$500,000. and TT$1,000,000. TT$2,500. TT$1,250. • Between TT$1,000,000. and TT$3,000,000. TT$4,000. TT$2,000. • Between TT$3,000,000. and TT$5,000,000. TT$7,500. TT$3,750. • over TT$5,000,000. TT$12,000. TT$6,000. Anything over TT$5,000,000. will be determined after a study of the building plans. Please note that above prices are set out by the advertising builders, and are not applicable for any other builders. Once the Quantity Survey/Estimate according the approved building plan is made, and a price agreement is reached, the Builder enters into a contract with the Clients, which states in detail what he is going to build and for how much. The quoted prices include Labour and Materials. It is important for all parties involved to get this in writing together with a guarantee that your home will be built for the estimated and/or agreed price. Usually an expiration time will be set on the Quantity Survey/Estimate. This time limit can vary from company to company. this can be up to Three (3) months from the quotation date. If the start of the construction exceeds this period, the prices quoted in the Quantity Survey/Estimate have to be reviewed as the cost of materials and labour changes constantly. Many of our Clients ask: "How much does it cost to build a 3 or 4 bedroom home?" It would be nice if that question could be answered of the bat, but it is very hard to quote a price before the builder has seen the final approved building plan of the proposed building. Giving prices per square foot is also never accurate, because a lot of the building cost depends on the interior and finishing touches of the house ..... e.g. teak cupboards with a marble counter top in the kitchen will be considerably more expensive than ply board cupboards with a laminate counter top. The ceiling is a next example, the bathroom...just a shower or bath tub.....etc. 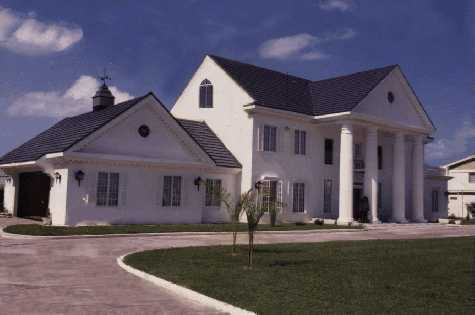 Let's not forget the design; For example: a 2,000 square feet flat rectangular building on a flat parcel of land will cost considerably less than a 2,000 square feet building with round walls (Castle look), with a lot of arches, split levels, or multiple levels located on a hill side, and yet, both have the same size. Taking all this into consideration, the safest way is to give 2 different prices; An extreme high and an extreme low. To give you an idea, click on the Construction Cost Calculator link below. Click on the image below to go to our Construction cost Calculator to get a ROUGH indication of the cost to build a basic* residential home in Trinidad & Tobago. 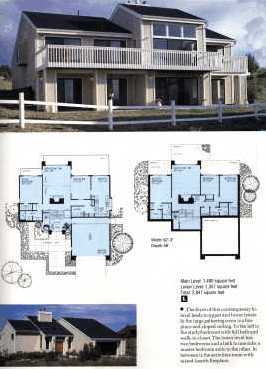 Once again I would like to emphasize that without a building plan we can not give an accurate price no matter what the size is, because you can have hundreds of different styles of homes, all with the same square footage, but they will all have a different price, and the price difference between the lowest and the highest price can be tremendous. It usually takes between 3 and 6 months to build an average home. Of course, the larger or the more complicated your home is the longer it will take to build. 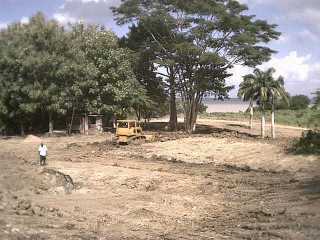 Even though construction continues throughout the rainy season as well, it is very important to do as much as possible in the dry season which falls between January and June, as the rainy season might cause setbacks which will increase the building cost and could delay the estimated completion date. In their strive to minimize their clients building stress and to maximize their efficiency, an independent team of Architect, Builders, Structural Engineers, Technicians, Land Surveyors and Valuators can provide you with all the above mentioned services in customized packages. Please Note: On this page only Residential Designs and Construction are mentioned. However, Architectural Designs and Construction for larger Commercial and Multiple Storey Buildings, entire Complexes, Town Houses, Renovations, Land Development and Government Projects can be done as well. Click on the button below for pictures of the homes already designed and built by our Associated Architect and/or Builders. Disclaimer: Siparia Real Estate Agency is not a construction company, but only advertises the services of independent and individual owned companies. It is the Client(s) decision to enter into a contract with the Surveyor, Architect and/or Builder(s). Any such Contract is NOT between Siparia Real Estate Agency and the relevant Client(s). All our Associates are carefully selected Professionals, and I can assure you that we do not refer Clients to our Associates before having convinced ourselves personally, and by means of references from their previous customers, that they deliver a quality job and an excellent service. Do not hesitate, contact us. (for Design & Construction information ONLY).